Eric Lewis is a professor of Philosophy at McGill University, whose research focuses on improvisatory art. He is the director of IPLAI, the McGill Institute for the Public Life of Art and Ideas, and a member of the executive committee of IICSI (International Institute for Critical Studies in Improvisation). He is an active improviser on brass and electronics, art curator, and activist. Prof. Lewis has written widely on the politics, aesthetics and ontology of improvised art. He helps lead the AUMI consortium, dedicated to the creation of musical control surfaces for individuals with profound physical disabilities to allow them to improvise across borders of ability. Eric plays an active role in Medea’s Koumaria residency, and plans and coordinates a semi-annual international conference, held at the OCC in Athens, in collaboration with Medea. He brings his experience in the coordination, development and implementation of complex events to Medea, and assists in developing international partnerships for Medea. He is also a member of the ISE, an electro-acoustic ensemble composed of Medea members. 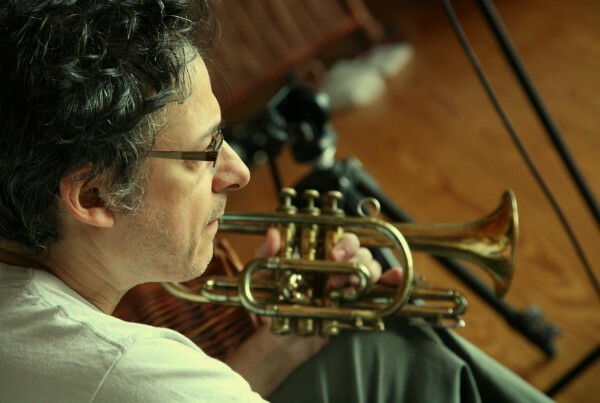 Focusing on brass extended techniques, Eric has performed internationally with the likes of Joe McPhee, Pauline Oliveros and Matana Roberts. He is a frequent speaker at conferences and events world-wide, and leads assorted community-facing projects focusing on the potentials of improvisation to improve the health of communities.